The Quakers & Business Group have become the latest Friends to state their support for the occupy movement. In particular, their statement has been published in support of the global occupy movement and says that they stand alongside all people who are “resisting economic injustice with peaceable action”. The group joins Quakers from Bury St Edmunds, Ditchling, Stevenage and Wimbledon who have all signed up to the Christian solidarity statement with Occupy London. Quakers meet at 3pm each Sunday for Meeting for Worship alongside the Occupy London camp, currently by the steps of saint Paul’s cathedral. 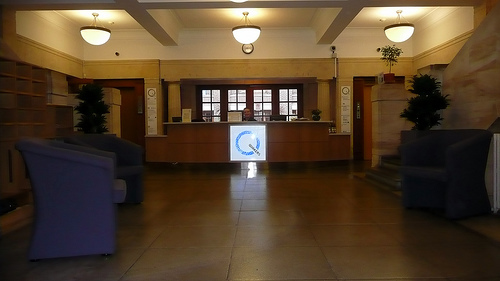 The Quakers & Business Group is both a listed informal group within Britain Yearly Meeting and a registered charity whose purpose is ‘to promote Quaker principles particularly in the context of business and the workplace’. As well as regular meetings, the group has a lively online presence on sites such as LinkedIn and has a directory of Quaker businesses on its website. They also have a ‘business principles’ document available from their website, which is published in eight languages. “We were taken on a journey by Deborah Cadbury and Mark Reckitt which began with the foundation of Cadbury’s and finished with its takeover by Kraft. “Early Quaker companies would compete in normal times but would gather in common cause, such as addressing slavery in cocoa plantations. We are not sure this would happen today due to the current value given to the importance of business rankings. Whereas historically businesses may have started within the belief systems of the founders, modern business models often involve creation of wealth leading to philanthropy rather than building an organisation where all involved in its success benefit from the start. “Today, business owners and managers are often distant from their employees and communities and we see new concerns such as business and tax minimalisation, child labour across the world, ratio of pay within a company and whether global ethics could be adopted which would be legally enforceable within companies. Consumers and stakeholders need to recognise these issues arise partly because of governance systems and scale.